Wes was an in-home chef for 10 years…and today, with the kids out of college, is living his dream. His son, Cameron, works alongside him as the expeditor and kitchen manager. 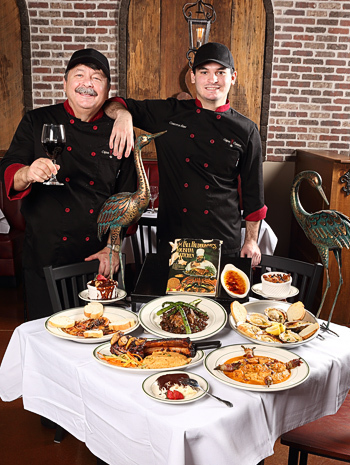 Cajun Cuisine is made-from-scratch Cajun dining at its finest. Favorites include Crawfish Etouffee, Shrimp and Grits, Bone-In Pork Chops with Spiced Apple Gravy and BBQ Shrimp. Save room for Wes’ quintessential New Orleans’ desserts…the White Chocolate Bread Pudding with Dark Chocolate Kahlua Sauce or his Creme Brulee will have you coming back for more! As they say, the devil is in the details; that attention to detail is evident in both the food and the interior of Wes’ restaurant. “I designed an atmosphere that emphasizes the history and beauty of New Orleans and South Louisiana. The blue stone surround on the fireplace dates to 1875. It’s from an old mansion torn down in 1982 to make room for the 1984 World’s Fair held in New Orleans. The bar top is from a 125 year old Cypress tree. The government no longer allows harvest of this old growth cypress in Louisiana. We were lucky to purchase this piece from a tree that fell during Hurricane Katrina.” And there’s more…100 year old cypress arches, a custom trumpet light built by Wes and his family, and decorative nods to Mardi Gras and Bourbon Street…just to name a few! 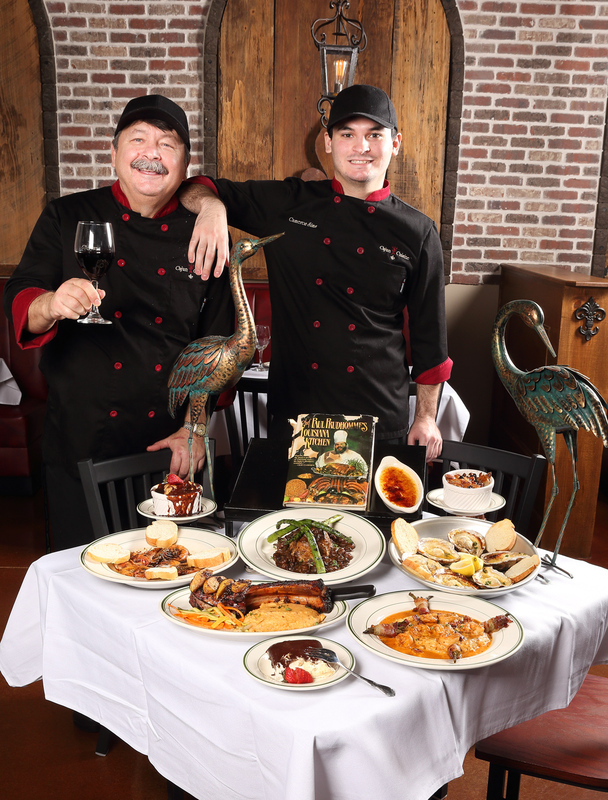 Wes and his family have truly brought a piece of New Orleans–both the cuisine and the ambiance–to a fantastic location right on the Grand Parkway. Stop in and enjoy a fabulous night out!